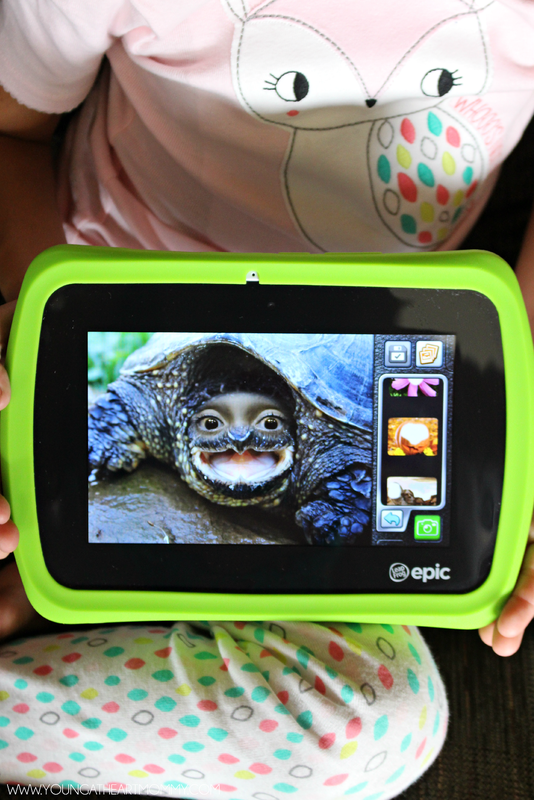 This month we’ve been exploring their newest educational gadget, the LeapFrog Epic Tablet. It offers a one-of-kind Android based experience that grows and changes just as your kiddo does. Just like the LeapPad Platinum, it welcomes the new generation of learning with a playable 7″ touchscreen and endless possibilities for exploration through more than 20 apps. These include Fruit Ninja Academy (a favorite here), Math Master, and Doodle Jump. 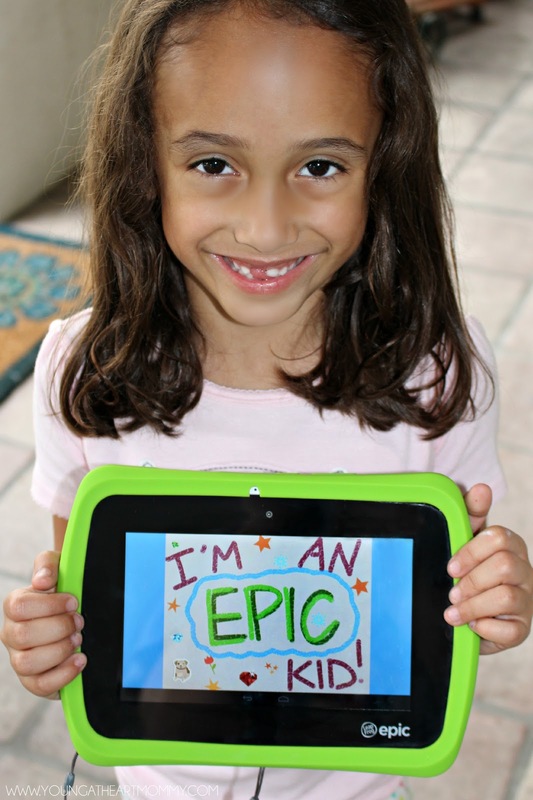 The Just For Me™ Learning technology personalizes games up to 10 different ways. Select games automatically adjust the curriculum as your child plays, with progress remembered from game to game to ensure an enriching experience. So far Toodie’s favorite activity is the Pet Pad Party in which she takes care of her very own customized pet. You can choose from a selection of friends including a pup, panda, monkey, and even a robot. As you take care of your pet you earn badges, token, and level up. Games like the Pet Glider require your child to move the tablet back and forth in different motions in order to help their pet collect gems. There is also a pretty neat feature in the Scrub-a-dub Station where you blow into the tablet to dry off your pet after a bath! Dinner Time is very similar to the game Fruit Ninja, in which the floating foods must be sliced to feed your hungry pets. I also couldn’t go without mentioning Photo Fun Ultra where children get to bring their photos to life through effects like the kaleidoscope or blender. Twist, turn, warp, and squeeze photos together to transform them. I personally find these animal masks to be HILARIOUS! The customizable parental controls allow you to be in command of what your child can access online through the LeapSearch browser. This may be my favorite feature because protecting my daughter from inappropriate content is always a priority when she is using an electronic device with internet access. When the tablet is first taken out of the box it is already loaded with pre-selected, kid-safe web content. When your child is ready you can add new websites to the browser and unlock restricted material. You’re behind the wheel! Manage what, when and how long your children play for up to three profiles on the tablet. A safe learning experience is at their fingertips and they can explore freely through a world designed just for them. 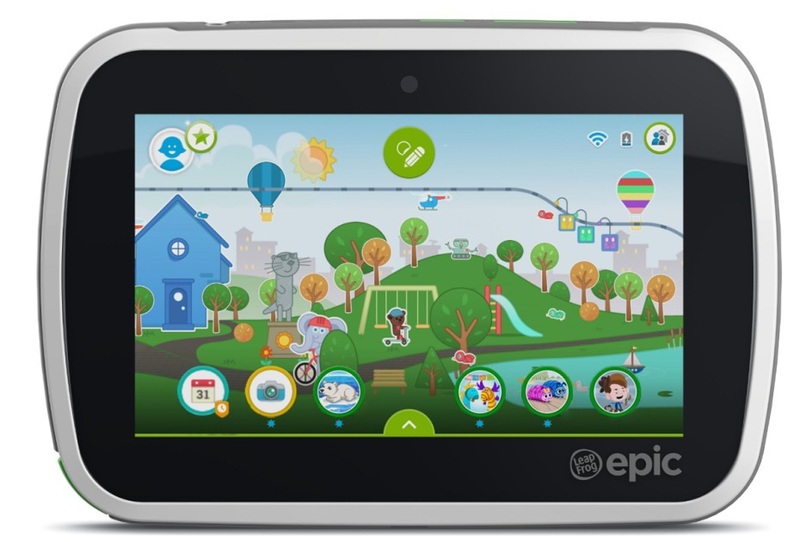 Unlike the LeapPad Platinum, the Epic Tablet doesn’t require cartridges nor are they even compatible. Instead, the applications are based out of the Android marketplace. Much like a cell phone, you or your child can download games from a selection of LeapFrog certified apps. This allows you to access exclusive content- games, apps, eBooks, and more. Each is drawn from 2,600 skills, including creativity problem solving. 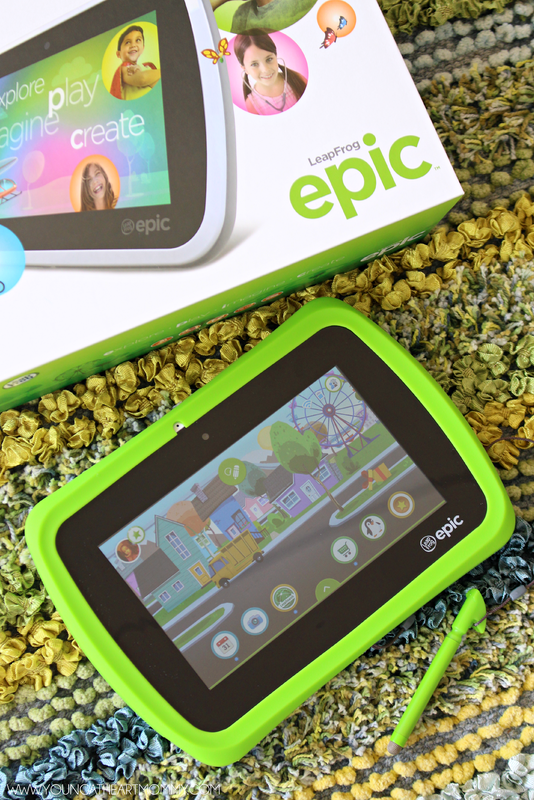 Other fun features of the LeapFrog Epic include the real-time weather update, customizable worlds with interactive stickers, reward store, Art Studio Ultra, Word Of The Day, Roly Poly Picnic 2, and many more. 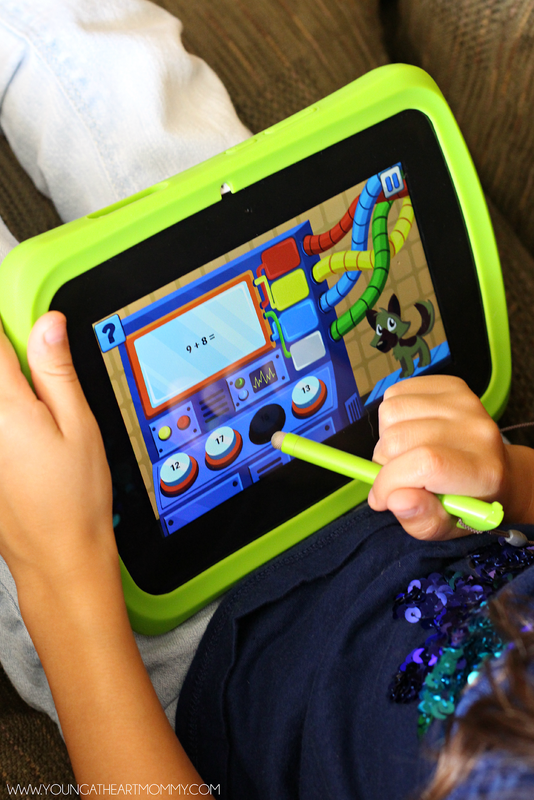 Stay connected with LeapFrog on Facebook, Twitter, Pinterest, and Instagram to learn more about their newest products, upcoming releases, and tips on how to get the most out of their educational gadgets.